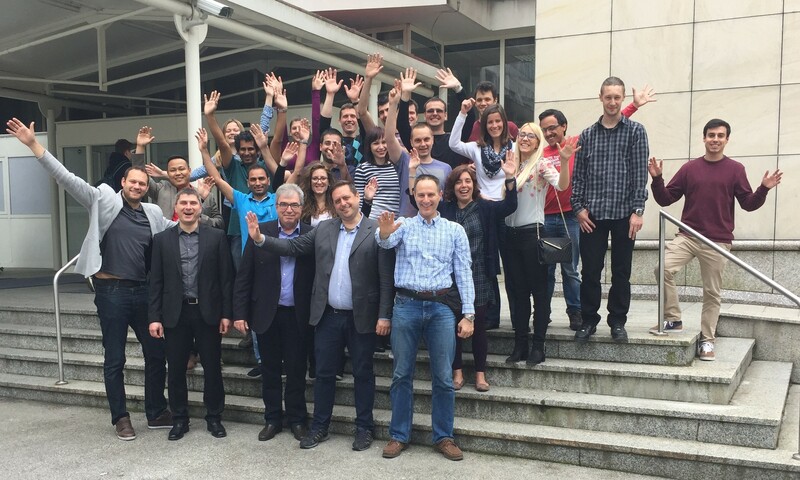 The INCREASE Summer School Ljubljana 2016 took place at the University of Ljubljana, Faculty of Electrical Engineering during the period of May 22nd - 27th 2016 in the frame of the FP7 INCREASE project. Entitled "The Value of Flexible Energy", it was co-organized by the Laboratory for Energy Strategy (LEST) at the Faculty of Electrical Engineering UL, and Korona d.d. The main theme of the summer school was an overview of the current regulatory and market conditions for the integration of renewable energy sources in the electrical distribution network and the flexibility to facilitate their integration. The INCREASE project covers different fields of management, optimization, forecasting and simulations, the power electronics design and control, policy and regulation and trading on the electricity market. The INCREASE Summer School has covered these fields from the perspective of various actors, from the transmission and distribution system operators, electricity suppliers, aggregators of flexibility to end users. More than 20 participants from 9 different European countries (Austria, Cyprus, Finland, Ireland, Romania, Serbia, Slovenia, Spain, and Turkey) have discussed the technical, regulatory framework and the market conditions for smart grids and for provision of ancillary services both at the transmission and distribution network level. The background of the participants was mostly engineering, but also economics and social sciences. Many of them had industrial experience, so the discussions were very motivated and interesting. The speakers at the summer school were the representatives from academia and business, including the representative from the DREAM project, Prof. Raphael Caire of the Grenoble INP; Prof. Grigoris Papagiannis of the Aristoteles University of Thessaloniki, Greece; Mr. Andreas Tuerk of Joanneum Research, Austria; Mr. Dimitar Bozalakov of TU Gent; Dr. Andraž Žertek of KORONA; Dr. Tomaž Štokelj, Director of Sales and Trading Division of the Slovenian electricity producer and trader HSE; Dr. Dejan Paravan, Director of Retail Division of the Slovenian retailer Gen-I, Mr. Peter Nemček, Director of the aggregator service provider CyberGrid, Mr. Uroš Salobir, Assistant Director of the Slovenian TSO ELES, Mr. Marjan Jerele, Assistant Director of the Grid at the Slovenian DSO Elektro Gorenjska, Prof. Andrej Gubina and Mr. Tomi Medved of the University of Ljubljana, Slovenia, and Mr. Edin Lakić, Head of the operations at the Slovenian power exchange operator SouthPool. The latter also enabled the participants to test-drive their new market simulator used for electricity market trader training. The participants combined the learning about the subjects of the summer school with the opportunities to learn about the host country, where a whole day was devoted to a field trip to Western Slovenia visiting the Pumped Hydro Plant Avče, the Soča River hydro power plants, and the city of Bled. The time the participants spent working together and networking will enable them to further their knowledge and build on it in the years to come. For more information on the summer school agenda please click here.